THE Itchenor club will host their open day next month. They will officially launch the new 2000 Dinghy Sailing Experience as well on Sunday, May 6. The Chichester-based club will open its doors and welcome people of all ages and abilities to discover more about Itchenor and their new fleet of 2000 dinghies. The highlight of the day will take place at 12 noon when the club’s new 2000 dinghies will be officially launched and the boats’ names will be announced. There will be live music on the bandstand. The club will be open from 9.30am to 3pm and the free entry event will provide visitors with the opportunity to get advice from the fully qualified RYA instructor about the training courses available at Itchenor for beginners, improvers and experienced sailors. Members and class captains will also be available to answer questions and help those looking to take their first steps in trying this exciting and sociable sport. As well as the water-based activities, guests can learn about the club’s on-shore facilities with a tour of the beautiful clubhouse and the opportunity to enjoy the stunning setting. 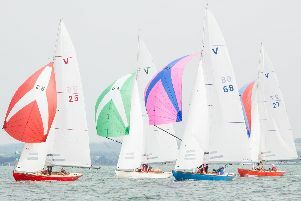 Neil Hart, Commodore at Itchenor, said: ‘This is the first time we have offered an accessible sailing experience at Itchenor where boats can be hired for use. See itchenorsc.co.uk or call 01243 512400 for more details.